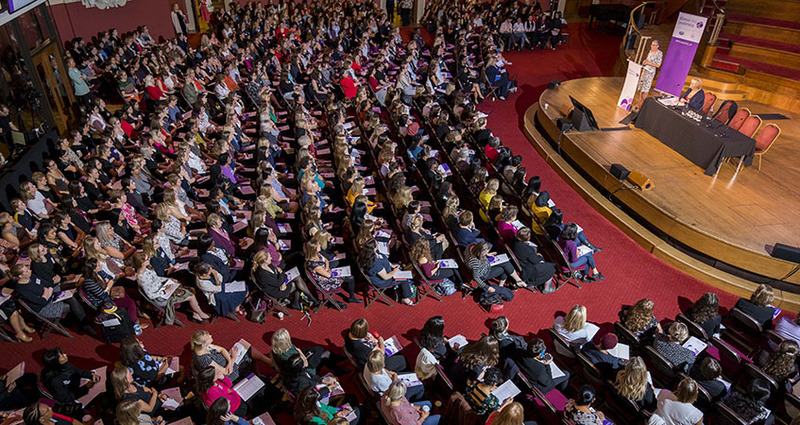 On 11 September, 850 female civil servants – and women interested in becoming part of the civil service – gathered at Central Hall Westminster for a day of inspiring talks, workshops and a panel discussion. They were all there for London’s ninth Women into Leadership conference, chaired by FDA President Fiona Eadie. Every year, the union joins forces with DODS to deliver a series of these events, with the aim to inform and empower all attendees. To celebrate the hundredth anniversary of female suffrage, Cross-Government Women’s Network Keela Shackell-Smith got all attendees to fashion their own suffragette or suffragist badges. She spoke on the past and the present, screening a film about “100 years of women in the civil service”. There was an afternoon panel discussion on “amplifying diverse voices: leveraging our differences to drive success”. Deputy Director of Civil Service Diversity & Inclusion Jazz Bhogal, Chief Crown Prosecutor of CPS West Midlands Region Grace Ononiwu, Chief Executive of the Legal Aid Agency Shaun McNally and Chief Digital and Information Officer of HMRC Jacky Wright shared their personal experiences, and spoke about how the civil service – and the people gathered at that conference – could affect real change. Breakout sessions held during the day included workshops on a variety of subjects, from tackling imposter syndrome, to managing difficult conversations, to networking with confidence, to the importance of women’s networks. FDA National Officers Jane Cockram, who leads on equalities issues, and Victoria Taylor, who leads on issues affecting women in the workplace, spoke to conference attendees throughout the day. Taylor, who is currently looking forward to our upcoming Manchester conference, said: “Having had the opportunity to attend a few sessions at Women into Leadership in Glasgow earlier in the year, I had high expectations for the London event and it didn’t disappoint – just the sheer number of delegates and the enthusiasm they brought was incredible. There was a great buzz throughout the day and the sessions I attended were fun and informative – I’ve set some time aside in my diary to look at how I can turn some of the suggestions into actions. Women into Leadership conferences will be taking place across the UK. To find your local event, see the Women into Leadership website. FDA and Keystone members receive a significant discount when they book their places.